Below the tower is the Locks of Love, a long-winding fence which holds thousands--if not a billion--of locks. While families and friends are allowed to join in on the tradition, it's particularly a hotspot for couples. Visitors write a message on their lock and fasten it onto the fence. Good luck finding space! I recommend buying a lock in advance. There's a store under the Namsan Tower that sells locks for almost double the price compared to the average shop. If you don't have money, I suppose you can hang up your sock instead. Whoever hung up their sock, I want to meet you. My friends and I bought a pink lock in Myeongdong, which we proudly named Jujume. We set up a combination number, wrote a message each, then searched for the perfect place to hang it. 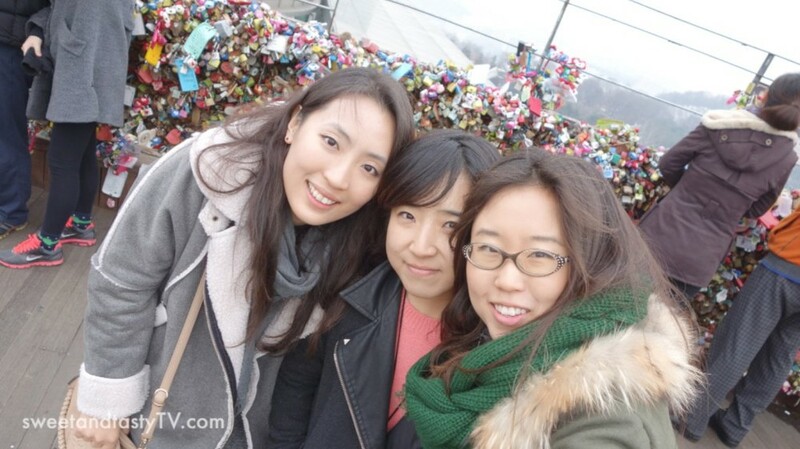 We promised to reunite at Namsan in 2024 where we fastened the lock. Jujume's home for the next ten years. Afterwards we danced with President Obama. Amusing dolls found at the photo store under the Namsan Tower. Take a photo of your face and they'll place it into the blank doll. Your face will be three-dimensionalized! 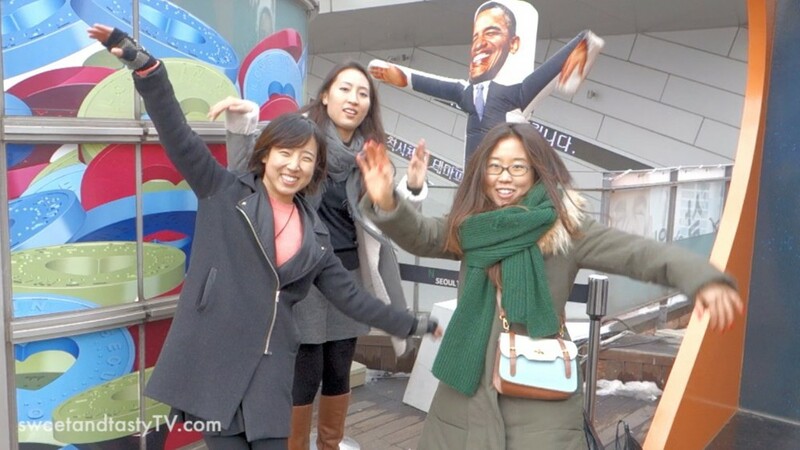 Visit Namsan in the afternoon to catch performances of Korean martial arts, folk music and fan dances. Don't forget to take a photo on the crooked bench. The person sitting in the middle will feel very loved. Or will feel squished. See you in 2024 at Namsan!